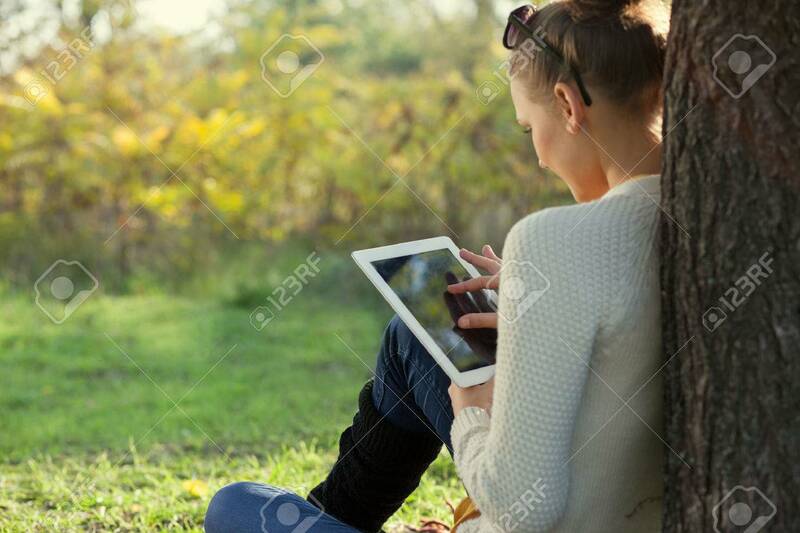 Colorful Close Up Of Using Touchpad Young Woman In The Park. Touching Touchscreen Royalty Free Fotografie A Reklamní Fotografie. Image 26417204.